Why is everything old so much cooler than anything brand new? 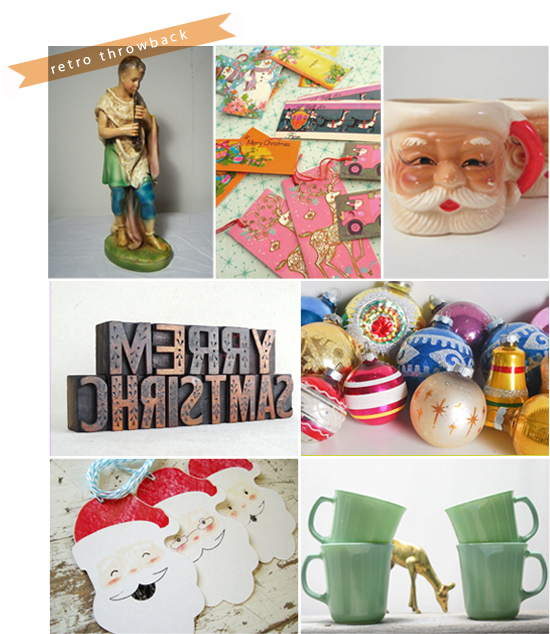 All of these ingredients for a perfectly retro Christmas were found on Etsy. Super fun stuff! I love the eclectic feel. I love 50's vintage. Sleek lines make me happy. You'll die when you see the cocoa mugs and (un)wine glasses I scored at a local thrift shop.